Obituary for Jose Sanchez | Rodriguez Funeral Home, Inc.
Jose Sanchez, age 71, passed away peacefully in Philadelphia, Pennsylvania. He was born in Barranquitas, Puerto Rico to the late Jose Evangelio Sanchez and the late Isabel Ortega de Sanchez. 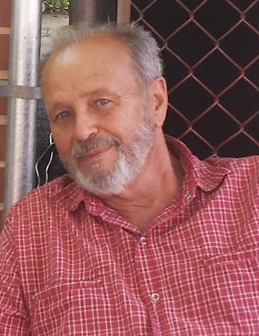 Beloved husband of Lydia Maria Sanchez; devoted father of Eduardo Sanchez (Victoria Torres), Jose Rafael Sanchez; Elizabeth Rogers (Christopher Rogers), Jose Luis Rivera (Darlene Rivera), Damaris Alicea (Pedro Alicea) and Diana Velez (Amir Waters); brother of Aguido, Jose Angel, Angelita, Margarita, America, Gladys, Maritza and Carmen Delia; precious grandfather and great grandfather; and son in law of Maria Rodriguez and the late Arcadio Rodriguez. A public viewing will be held on Saturday, November 17, 2018 from 10:00 am to 12:00 noon followed by a Liturgical service at the Rodriguez Funeral Home, 1101 East Erie Ave, Philadelphia PA 19124.